What a great collaboration this was! Venue paired up with Wedding Industry Professionals Association (WIPA) Socal and contributed in hosting their meeting where Wedding professionals gathered to learn from Christina Millikin of Glow Event Design about how to use technology to work smarter and not harder! Thanks to the various sponsors, whom are all credited below, for being such a pleasure to work with. This event wouldn't have been a success without everyone's help. We look forward to the new connections we've made! If you thought your job was cool, meet Jack's Surfboards. 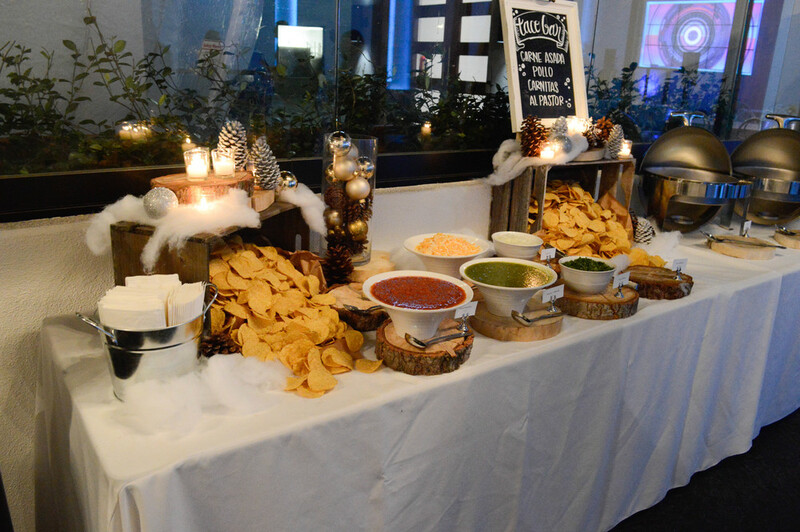 At a holiday party held here at the Venue, the company treated their employees to a night of dancing, drinking, and raffle prizes (read: wet suits, Disney passes, cash prizes, and various pieces of surf gear). Guests came from near and far, ranging from LA County and branched out to San Clemente. To ensure everyone had a good time, party busses were on hand to transport some back to the farther cities. Oh, also three words: Unlimited. Taco. Stand. So, uh, how do we apply to work here? We were so thrilled to host the Association of Bridal Consultants of Orange County! These creative minds turned our space into a vibrant, festive Cuban fiesta. Watch the video below to see an amazing networking experience, showcasing OC's best in the wedding industry.